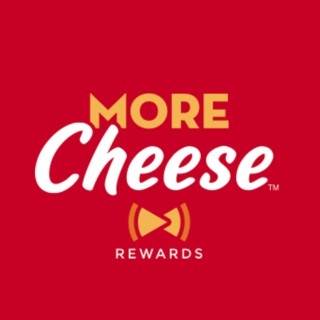 The App That Lands You Dates. At Teeze we focus on getting you face to face. 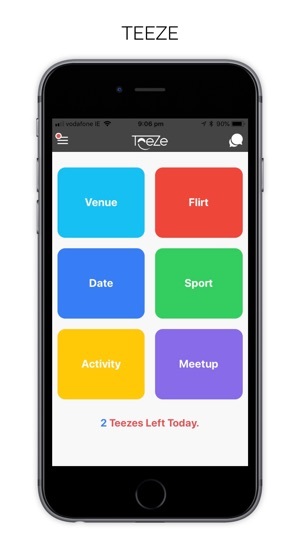 The Teeze dating app makes it easy to break the ice, chat and more importantly organise dates. Teeze is a synonym for the word tease. A teeze is a virtual gesture, date or meetup idea. 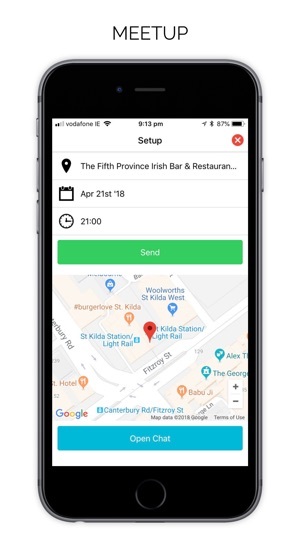 This unique interaction method allows matched users to comfortably and consistently setup dates. While current dating apps concentrate on getting you a match or connection, Teeze focuses on what you do after the interest is established. Teeze makes it a lot simpler and less intimidating to propose a date or even just spark up a conversation, so no more awkwardness. Everyone can ask for that first date. Anyone can make the first move and we lighten the load of having to say no. Once you are matched, you can send teezes. These are broken down into six categories with six different options offering many unique date options. Pick and idea and both parties can set up the date, time, venue or place. The app is integrated with geo technology so every business and venue in your locality is listed. All stages of the date setup are displayed graphically in the app. The discovery engine is based on gender, age and geo proximity. Potential matches are presented in a scroll fashion so no need to worry about swiping past! Teeze supports facebook only registration and one click discovery which keeps it simple. 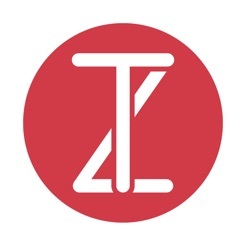 Teeze will convert your matches to successful dates. We rebalance the time wasted on other on apps with time on dates. 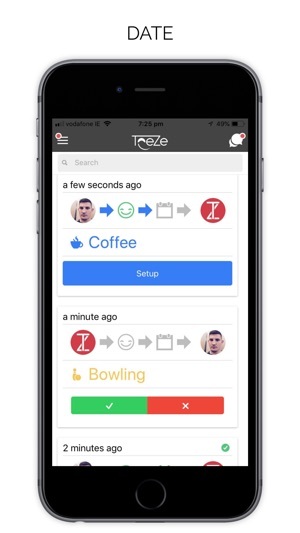 Teeze turns digital relationships into the real thing. Thanks for using Teeze. We regularly update the app to improve user experience, performance and resolve bugs.